Help your child’s class win a smoothie party for collecting the most Box Tops! It’s that time again – our Spring Box Top collection will take place February 18 – 22nd. Clip Box Tops and send them to school with your child. Box Tops are located on many of your favorite grocery store items, including Betty Crocker, General Mills, Yoplait, Totino’s, Pillsbury, Ziploc, Kleenex, Huggies, and more – check out the attached list of participating product. Also, look for Bonus Point coupons on your grocery print out at the register. Please read the coupons carefully, some require your attention. 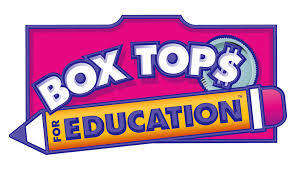 Each classroom will have a collection container for Box Tops. Box Tops can be dropped off loose or in plastic bags. Only submissions collected in the classrooms will count towards our classroom contest. The classroom that collects the most Box Tops will win a smoothie party! Please contact Julie at juliepallinger@yahoo.com for information about volunteering to help! Thank you for helping West Woods Elementary! And please keep collecting box tops after the contest, we’ll run it again in the fall!